Proven to be one of the top selling lawn varieties in Melbourne and Australia wide is the DNA Certified Sir Walter Buffalo Lawn. With many known benefits, like resilience to drought, weeds, pests and harsh climates, cheap imitations of the Sir Walter brand are leaving many homeowners, business owners and landscapers disappointed. Non-certified Sir Walter lawns lack in quality, texture and longevity. For those looking to enjoy the features of a soft, green Sir Walter lawn, it is critical to insist on DNA certified and purity assured Sir Walter Buffalo grass. 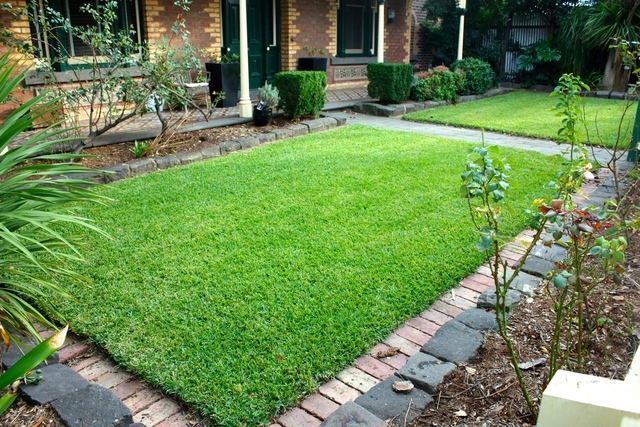 A quick browse online will demonstrate that this much-loved lawn variety is widely available throughout Melbourne. The highest priority is determining whether the Sir Walter Buffalo grass sold by your chosen supplier is DNA certified. This means that a 10 year- product warranty certificate will be provided with the purchase of your lawn. A guarantee of this type brings with it peace of mind, and the knowledge that your new lawn will thrive in the often, unpredictable weather conditions in Melbourne. Buying legitimate Sir Walter Buffalo grass means that you are investing in a loveable lawn which will give back to you in many ways for at least a decade. There is added value in installing premium and DNA certified pure Sir Walter Buffalo grass when it comes time to sell your property. The purchaser of your home will favour a beautiful looking lawn with a product warranty certificate, over a lawn with no proof of genetic purity. By insisting on DNA Certified and pure Sir Walter lawn in Melbourne, your property will be enhanced visibly and practically with a self-repairing, high drought and shade tolerant grass. Don’t compromise on your outdoor enjoyment, lay a quality lawn for both immediate and long-term gain.